Clean and comfortable room, plenty of space, kitchen and laundry. Great location, close to the harbour, to chinatown. WiFi was excellent, the apartment was clean, big, comfy, great view from the balcon. The pool was okay as well. All the service was okay, I was satisfied. Nice room. Facilities seem ok in the room apart from the ironing board (I used the fridge, not the stovetop or the ketle). Great location and very spacious apartment. Comfortable bed and amazing staff. Have stayed here several times and it's always great! Friendly efficient staff, great location and extremely comfortable will definitely be back! Great location. Welcoming and helpful staff. Very happy with our stay. The room was spacious and had a good layout and well equipped kitchenette. Great location, close to shopping, transport, bars and restaurants. Excellent location. Close to Central subway station. We love the location - central to everything! Pubs, shopping, public transport. The apartments are spacious and well appointed. The bed is heavenly! We walked to Circular Quay and the Rocks. No outside noise to disturb your sleep. Air con works beautifully and a little balcony is a bonus. The staff are courteous and informative. Lock in a great price for APX World Square – rated 8.1 by recent guests! 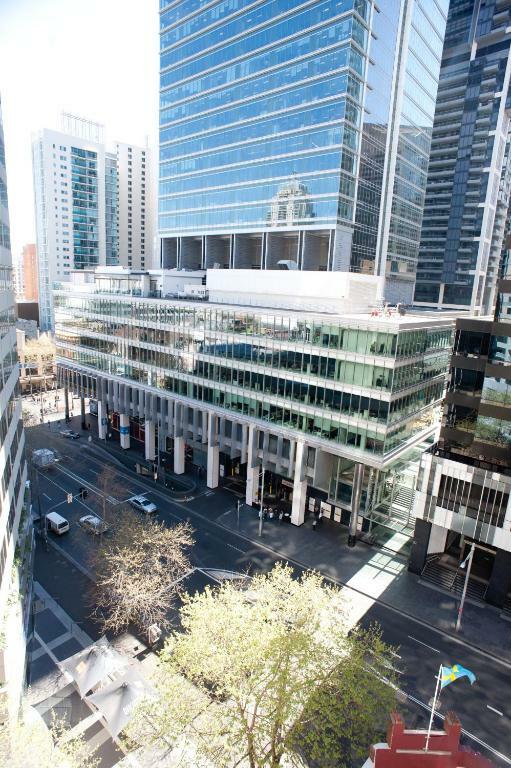 APX World Square This rating is a reflection of how the property compares to the industry standard when it comes to price, facilities and services available. It's based on a self-evaluation by the property. Use this rating to help choose your stay! 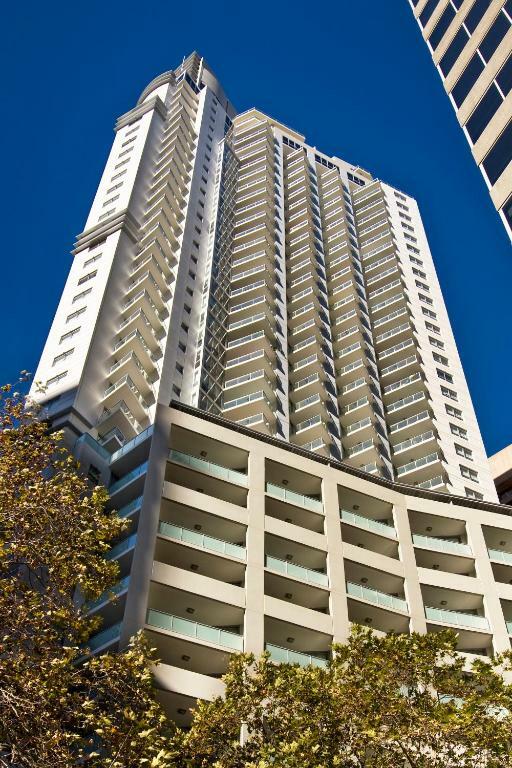 One of our top picks in Sydney.APX World Square offers spacious apartments with a private balcony and full kitchen in the heart of Sydney CBD (Central Business District). 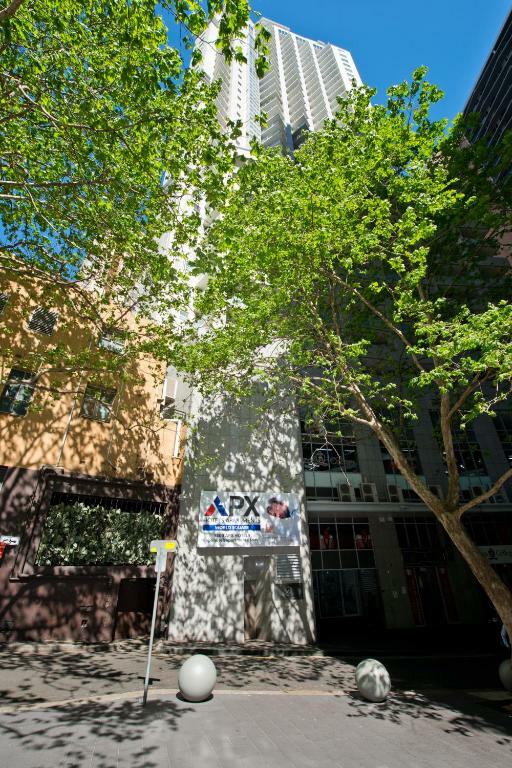 APX World Square is a 5-minute walk from the shopping and entertainment of Chinatown and Darling Harbor. It is 10 minutes’ walk to Central Station, providing easy access to all Sydney’s attractions. Each fully air-conditioned apartment at APX World Square features a private bathroom and laundry facilities. The large living and dining areas include a flat-screen TV. Facilities include an indoor/outdoor lap pool and massage rooms. The friendly reception staff can arrange airport transfers, car rental and tour desk services. When would you like to stay at APX World Square? This spacious studio has a sitting area, laundry facilities, full kitchen and balcony/patio. This spacious apartment features a separate living/dining room, full kitchen and laundry facilities. This apartment features 2 kitchens, 2 private laundries, 2 balconies and 2 spacious living rooms. This studio has a king bed, laundry facilities and full kitchen. House Rules APX World Square takes special requests – add in the next step! A AUD200 damage deposit is required 0 days before arrival (about USD141.85). This deposit will be fully refunded 0 days after check-out, as long as there isn't any damage to the property. APX World Square accepts these cards and reserves the right to temporarily hold an amount prior to arrival. Please note that APX World Square requires an AUD 200 credit card pre-authorization upon check in. Cash is not an acceptable form of payment at this hotel. You must show a valid credit card and ID upon check in. This credit card must be in the same name as the guest's name on the booking confirmation. A damage deposit of AUD 200 is required. That's about 141.85USD. You should be reimbursed on check-out. Rooms could be cleaner. Dishwasher broken. Great location, and really helpful staff. Its not 5 star, but I knew that when I booked. It was clean and comfortable and had everything we needed. Very large and well equipped. We had issues with freezer - items we purchased were not kept frozen. The washing machine/dryer was a major problem - resulting in us having to take our washing home wet Also issue with toilet seat not fitting correctly. Bed was comfortable. Kitchen was good size with all accessories you would want. Maybe some complimentary crackers or biscuits. Otherwise all good. Size of room and bed. Design of space very good. Everything we expected was delivered. Location was right opposite world square. Close to museum station. Clean. Really spacious and self contained apartment. Really comfy bed. I was provided with a glutton of towels (for a solo traveller) which I though was a bit wasteful but otherwise I would go back without hesitation when I’m Sydney. Staff were friendly and helpful. Price was really reasonable too For Sydney. Was a bit noisy. have stayed there many times, but first time i have noticed the noise. TV was quite small and only had limited channels. Excellent friendly service at reception, room was very clean and comfortable. There is no restaurant or coffee place, but these are all around the hotel. The location is hard to beat - close to everything in Sydney. Property organised an express check in with nothing ready when we did arrive. It took about 20 mins to check my colleague and I into our rooms.